These soft, lifelike models simulate real body structures. 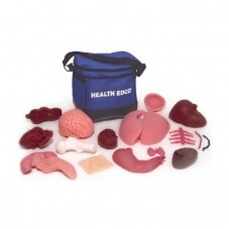 Excellent for science, anatomy, and health instruction. Set of 16 models comes in carrying case. Models may also be purchased separately. Please call for details.